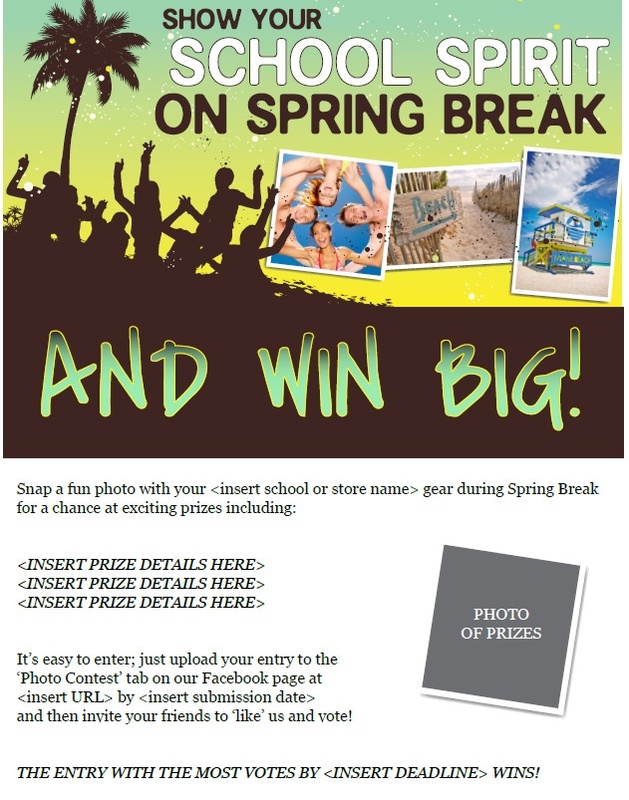 Interact with your students even while they're away from campus and gain lots of new social media fans with a Spring Break Photo Contest. All students have to do is snap a photo in their school gear and submit it to your store for a chance to win great prizes. Just follow our step-by-step instructions below! First, decide how participants will submit photos. We think it’s easiest to have students upload their photos to Facebook or Twitter, but you can have them sent to you via email if you prefer to screen entries. Next, select how you'll gather votes. 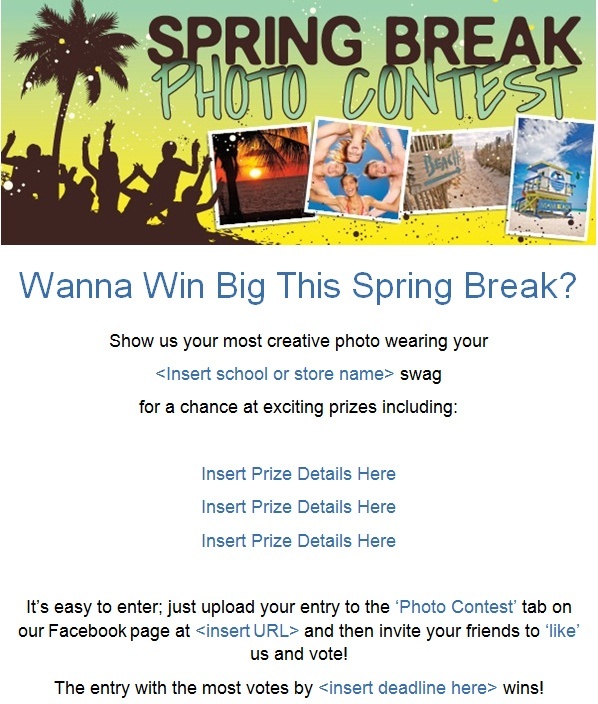 We suggest Offerpop for easy Facebook Photo Contests. The application allows you to host your contest on a dedicated tab within your page where students can vote with the click of a button. You can even customize the look and feel of the tab with graphics! We make it easy; use our banner to add a splash of color to your Contest! Just click on the image below to download, then upload it on the Offerpop site in the 'Headline Image' section when you're setting up your tab! Within the 'Advanced Options' section of Offerpop, you can also create a Fangate, so that users must "like" your page to participate in voting. We suggest enabling this option in order to increase your fan count. We even created an image for your Fangate to keep with the theme! Click the image below to download! Once you’ve decided how your submissions will work, designate relevant prizes for your winner(s). Finally, make sure to set a deadline for both submissions and voting as well as outline clear rules for eligibility and include them in your marketing materials in the next step. Now that you have the details set, begin promoting your event on social media and in-store before students leave for Spring Break. Use a hashtag on Twitter such as #(SchoolAbbreviation)pics and create an Event on Facebook. You can also post flyers, send out a campus-wide email and advertise on your website. Use our templates below as an easy starting point! Once you’ve reached your submission deadline, encourage students to vote on your social media pages! Amp up the competition with daily status updates detailing who's in the lead and be sure to remind entrants to invite their friends to vote! 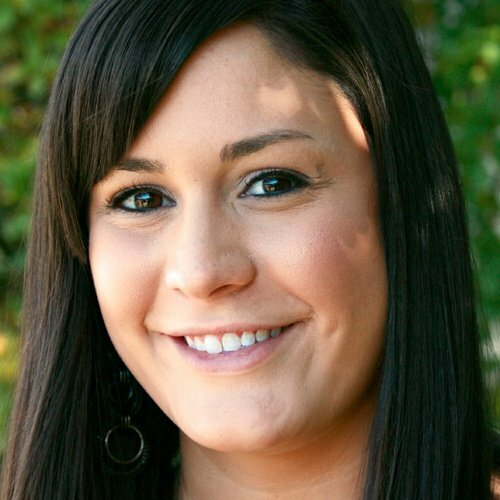 Then, sit back and watch your fan count increase as users engage with your page! Show off the winners by posting their names and photos to Facebook and Twitter! You can also display them in-store and on your website. Don't forget to thank all of your participants to encourage their continued involvement in future events! Like all of this month's marketing material templates? Download the entire toolkit!